The 70,384 sq km Northern Region –‘the mother of all regions’- is the largest area of Ghana, famous for its scenic beauty. Made up of 26 districts, the region is bordered on the north by the Upper East and Upper West Regions, on the east by Togo, on the south by the Black Volta River and on the west by Ivory Coast. In contrast with more crowded areas such as Accra, the Northern Region has low population density, with fewer than 2 million inhabitants, due partly to emigration. The tropical climate allows farmers to grow and sell crops throughout the year and over 75 per cent of the working population is involved in agriculture. The wet season lasts from May to October, with an average annual rainfall of 750 to 1,050 mm, while the dry season, with temperatures of up to 38 degrees, occurs between November and April. The Northern Region is much drier than southern Ghana because of its proximity to the Sahel and the Sahara. The savanna is a scene of splendour with its grasslands and baobab and acacia trees interspersed with rare species of flora. This is a place of wonderful vistas that include the Gambaga escarpment and the Nakpanduri cliffs. A ‘must see’ for visitors is the Sacred Grove, a traditional nature reserve that has been created around shrines. Most notable is the Jaagbo Shrine, 30 km from Tamale, with 25 acres of preserved vegetation, medicinal herbs and rare plants. The grove contains the ‘mystery tree’ with the hoof marks of a horse. Another landmark is the mythical stone at Larabanga. A road under construction had to be diverted because the stone could not be moved. The archaeological sites at Yikpa Bonso, with relics of the Koma people, are worth a visit. Ancient mosques bear witness to the long history of Islam in the region. The 13thcentury Larabanga Mosque, located near the entrance to the Mole National Park, features a curvaceous style of adobe architecture. The remains of 15th-century defence wall, built by a Mamprusi chief using mortar of mud, blood and honey, can be found at Nalerigu. While mosque is a sign of Islam, graves are there to remind visitors of battles fought in the region. A mass grave of fallen Dagomba warriors can be seen at Adibo, where the Dagombas fought the Germans. The grave of Naa Attabian, a Mamprusi king, is at Nalerigu, and that of Ndewura Jakpa, king of Gonjas, is at Buipe. The graves of massacred Gonjas have become shrines at Jentilkipe. The Northern Region was an important source and route for slaves. Yendi is an archive of the slave trade, including the grave of Babato and the relics of his army. At Salaga visitors can see that wells that provided the bathing water for slaves about to be sold, as well as the residence of slave traders. Temale, the commercial centre of northern Ghana, is an intriguing mixture of ancient and modern. Its traditional architecture of round huts with conical thatched roofs is in stark contrast to the city’s modern role as a hub for technology. Today, more people are finding their way into contemporary industries such as the pottery centre in Sirigu. The region is also home to fugu textiles, with production centres in Temale, Gushiegu and Yendi. The region’s most important traditional festival is the Damba. Originally held to mark the birthday of Mohammed, today, it is a mixture of music, dance, excitement, horsemanship and regal pageantry. Ghanaian hospitality is legendary and the Northern Region is no exception. 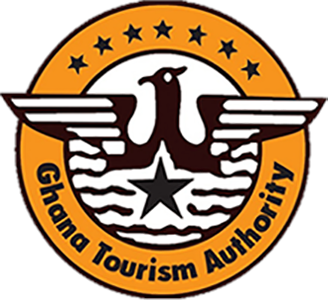 Visitors are invited to enjoy the spectacular natural features, exotic culture and historical legacies of the largest region in Ghana. Mole National park in north-west Ghana is a 4,840 sq km reserve for vast numbers of wildlife including elephant, buffalo, wild pig, antelope, apes and various birds. The area was set aside as a wildlife refuge in 1958 and designated a national park in 1971. Today it is Ghana’s largest wildlife refuge, served by forest rangers. The park is located on a grassland savanna and its entrance is near the town of Larabanga. The ephemeral rivers Lovi and Mole flow through the park, leaving behind drinking holes in the long dry season. The dry season is the best time to visit the park, which has a motel with a restaurant, a bar and a swimming pool.